Trend alert! Oversized art is making a comeback, and it’s bigger and better than ever. Out with the gallery walls, and in with oversized art! Large artwork is making a comeback. Just when you got all of your frames hanging perfectly on your wall, the latest trend is turning to large art pieces that make a statement. 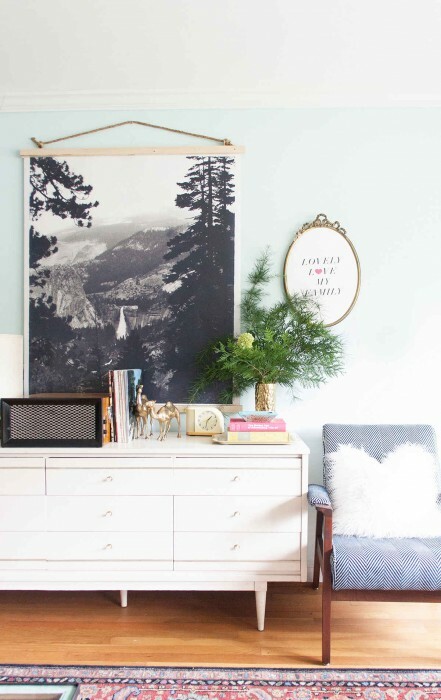 Whether you have a favorite poster, mural, or photo that you love, take your home decor to the next level by taking your art up a size. Get inspired to fill your walls with a large frame or print, with these eight rooms that do oversized art right! 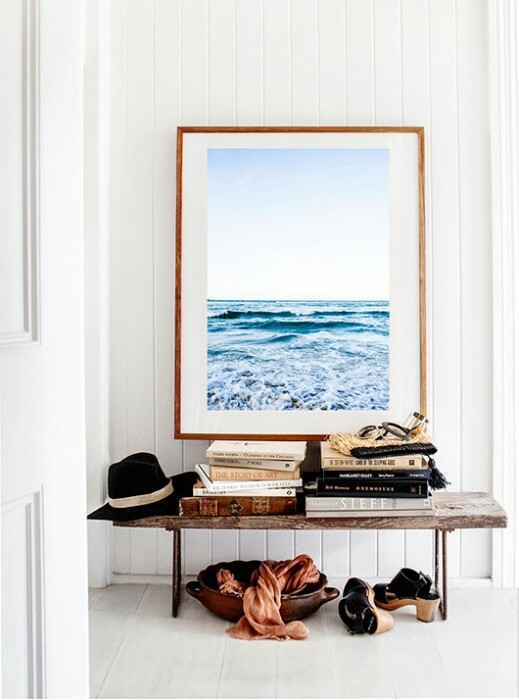 Make a statement the moment you walk through your front door by hanging a large print in your entryway. 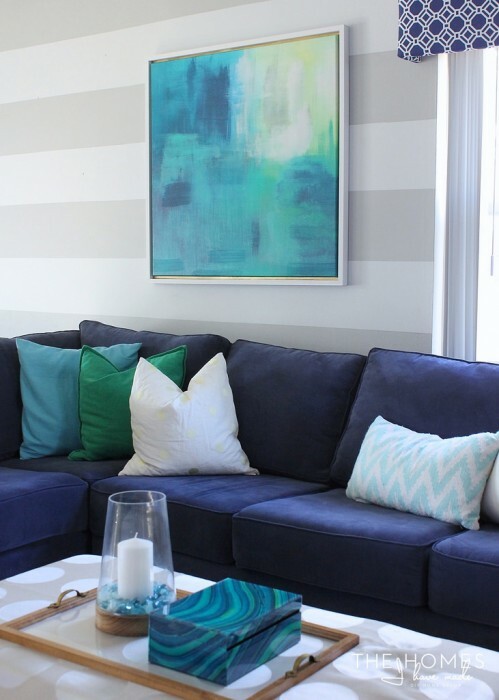 Dress up an oversized piece of art by adding a frame around the edges, for a custom and classy canvas that will complement your home decor. 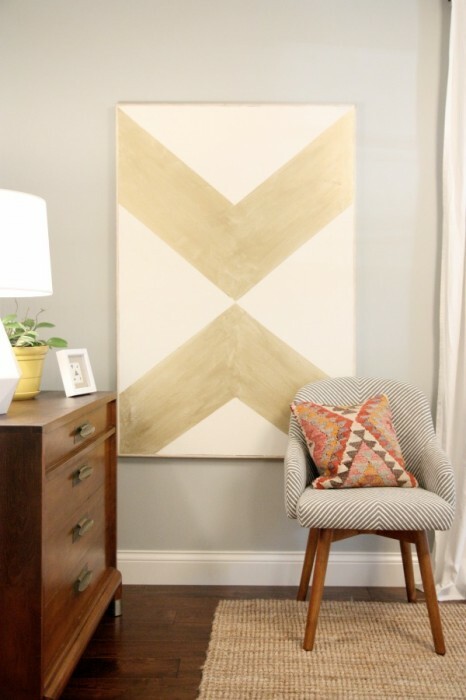 This large scale chevron art fills a blank space with soft colors and a simple design. 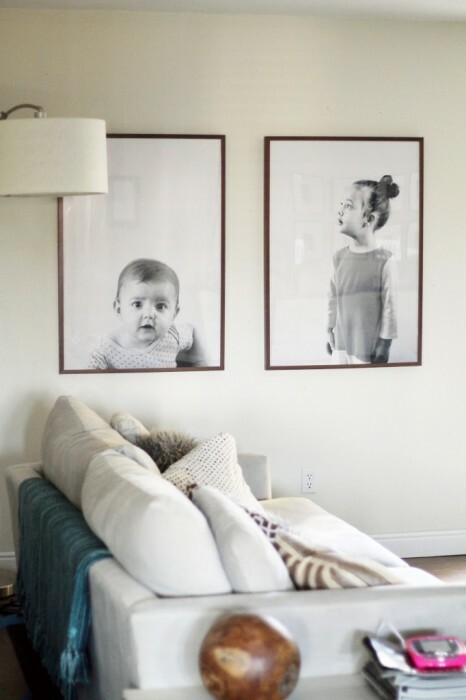 Make your favorite photos larger than life by filling a wall with engineered prints. For only $2, these two black and white portraits say it all, without needing a full gallery. 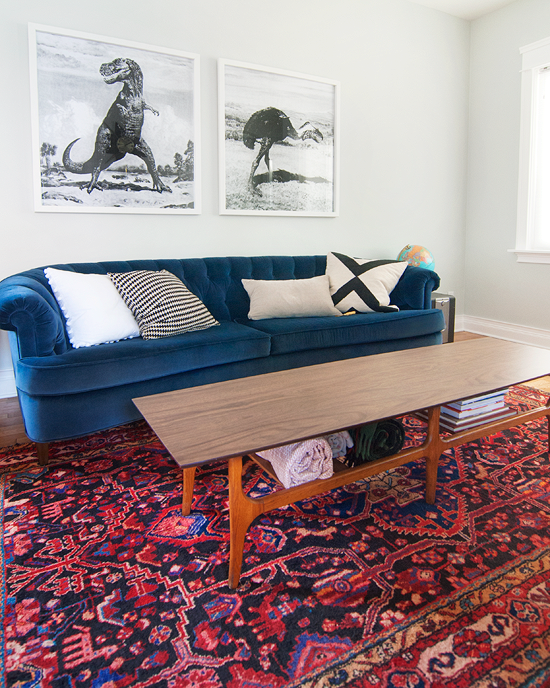 For a sleek, but not distracting look, these bold black and white dinosaur prints bring this living room to life. 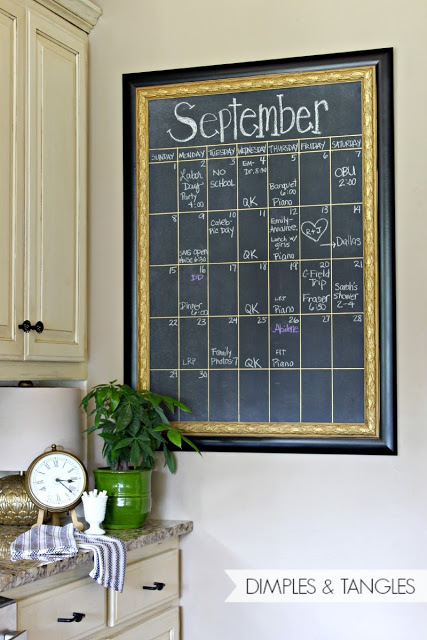 The perfect way to keep your month organized, this giant framed chalkboard calendar doubles as decor and a daily schedule. 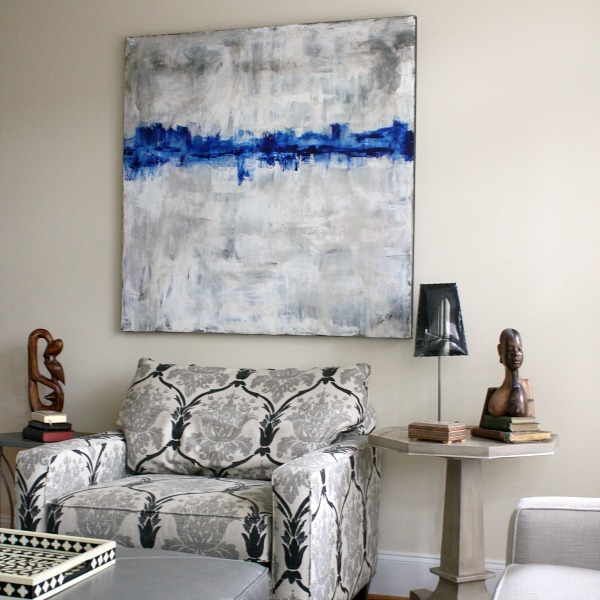 Add a stunning piece of artwork with a pop of color, for a subtle accent in a neutral room. 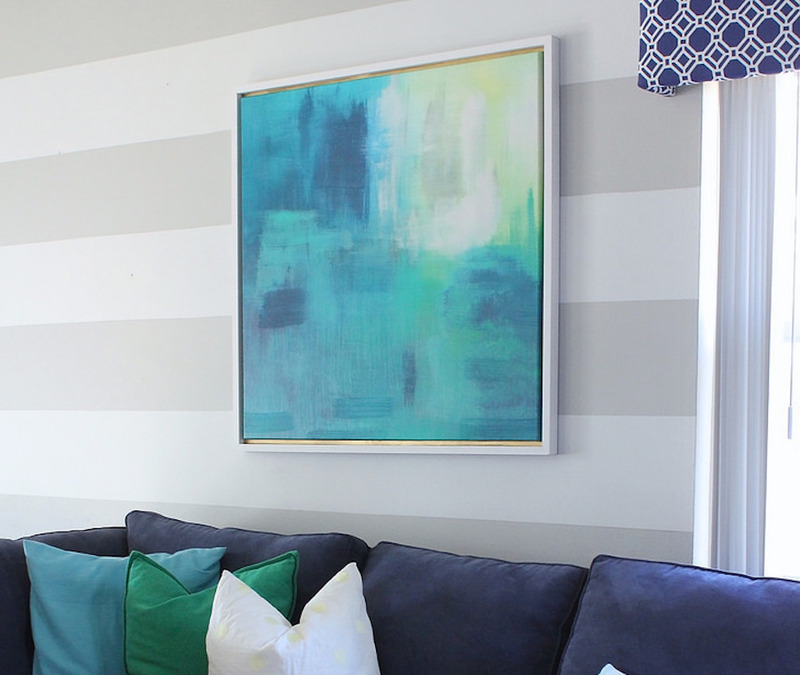 Would you toss out your gallery wall and start the trend of oversized art in your home? Tell us how!